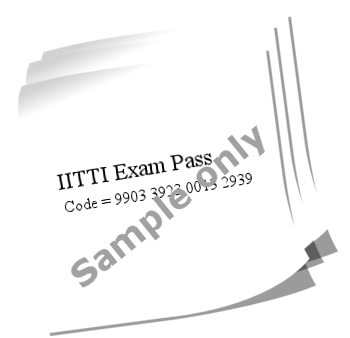 Sample IITTI certificate. Each student has a unique ID. 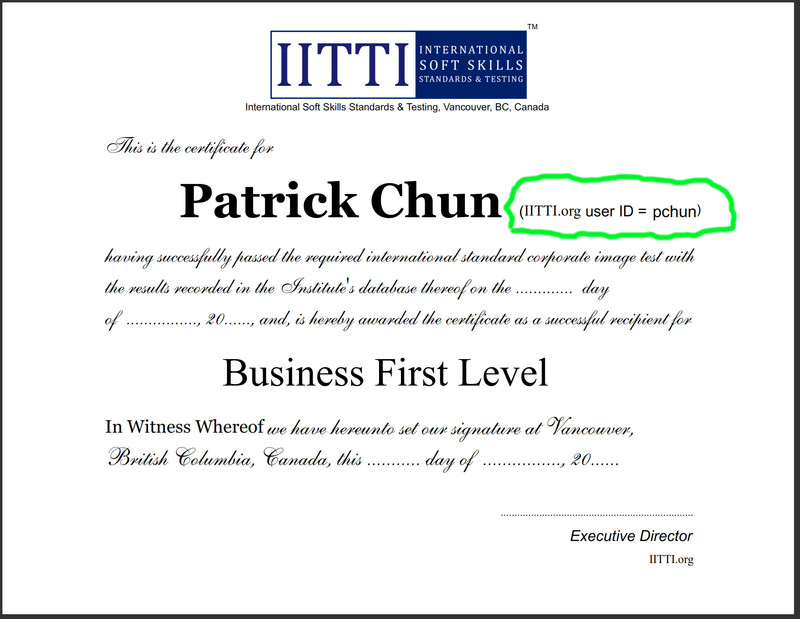 Employers can independently verify each certificate on this IITTI website. Sample résumé. 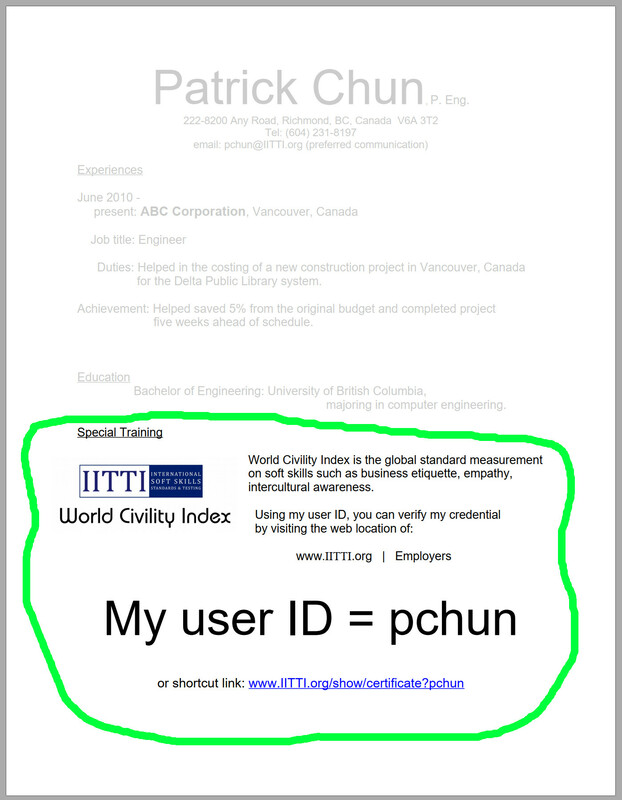 Students can include their IITTI user ID on their résumé so that employers can independently verify their credentials. Sample exam passes. Each student buys an exam pass and enter into his/her account in order to take the exam. 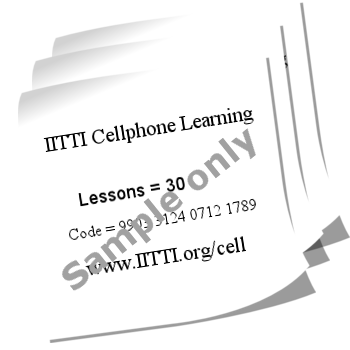 Sample cellphone lesson cards. Each student buys a cellphone lesson card and enters into his/her account in order to receive cellphone lesson each week.